Hands up who loves travelling? *waves both arms in the air* Even though I am a creature of comfort I have a (huge) soft spot for road trips, short breaks and family holidays. There's something really special about hopping in a car, train or plane and discovering somewhere new. Four years ago my two best friends and I embarked on our first 'no parents' road trip up to Edinburgh and it was a really amazing experience. The summer after I flew over to Spain with my sister for a week, and again had an incredible time. I am lucky to have been to a number of countries, seen some beautiful landscapes and visited some iconic landmarks, but you can never see too much of the world so I've had a travel bucket list for as long as I can remember. Here are the top three places I most want to visit before I die. 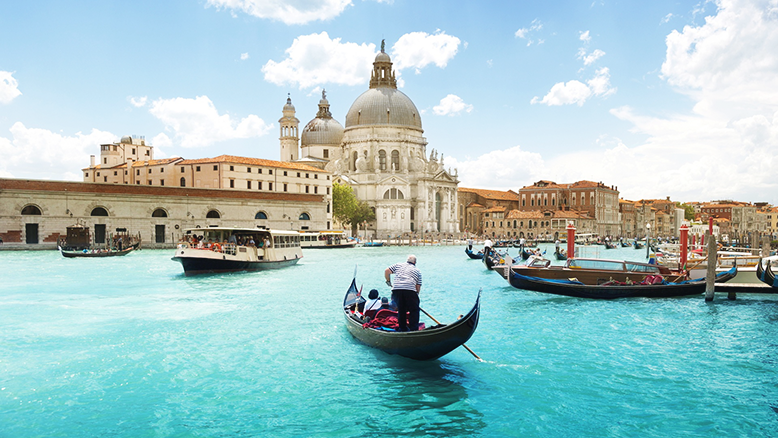 Number one on my travel bucket has to be Venice. I have wanted to see Venice for as long as I can remember. I even based my GCSE Art on Venetian masks. I think it is a really beautiful place filled with amazing architecture, passion and history. I marvel at the fact it has streets made of water and you have to get water taxi's to dot from place to place. I love visiting places that have things to see, museums to visit and beautiful scenery. I'm not sure when I will get to visit but I hope to get there before I'm 40.. so that gives me a few years! Technically I have already been to Sardinia, but I was at an age (11) where all I saw was the swimming pool in the garden of our rented villa, and the pizzas we had in town. I know from looking back at photos that it is a stunning island (just off Italy) with beautiful towns, beaches and restaurants. I think it would make a wonderful honeymoon venture with it's blue oceans and culture. If the photo above doesn't make you want to book your flight right now, I don't know what will! Ok, so this is a bit different to the other places on my bucket lists as it's not about the beaches, swimming in the ocean or sunbathing by the pool! As a teenager Amsterdam was just "that place where people go to smoke weed.. and see those red lights.." in fact, my very first date age 16 we went back to his and I got to choose the DVD so I chose Hostel (because I love horror movies..he didn't.) and so that only added to this image of Amsterdam I had. As I got older I realised that Amsterdam wasn't just this small image I had, but a whole city with other things to offer, things I would actually love to see. 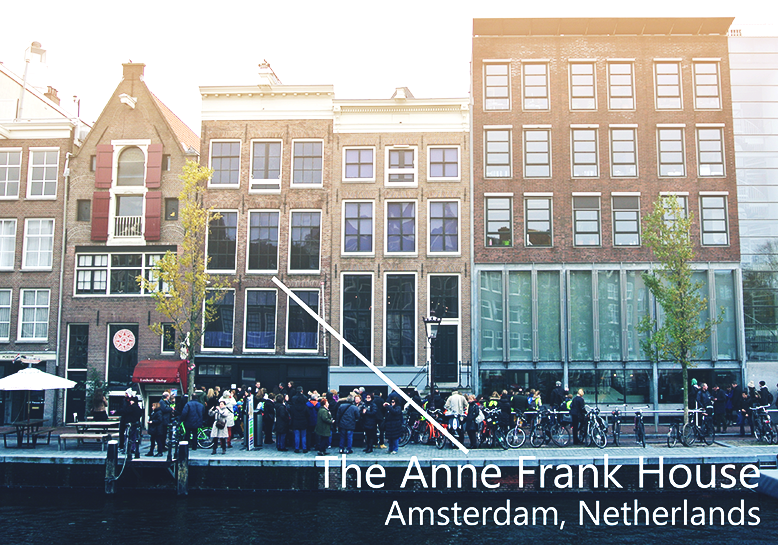 Namely Anne Frank's House. I am a big fan of Anne Franks Diary and have read it a few times now, I find the whole thing fascinating and after seeing it featured in John Greens movie, The Fault in our Starts, I knew it had to go onto my bucket list. Rather then it being a morbid fascination, I think it's an excellent way to honour the people who lost their lives in WWII, whilst celebrating the story of Anne Frank and her family. It's very hard to narrow down a whole list of places to just three, but these are my top three MUSTS on my adventure tick list. I hope that I can make as many memories as I can all over the globe from seeing shooting stars, to gorgeous waterfalls to historic buildings. And it's even more fun if you have someone to share the experience with! Let me know what places are on your travel bucket list!